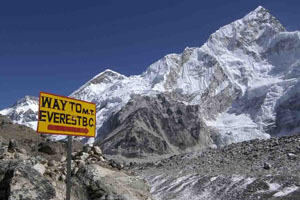 This a combo trip of trek and sightseeing .This trip offer you of 4 districts of Nepal. They are Kathmandu, Bhaktapur, Lalitpur and Kavrepalanchowk. We assure that you will visit all important places of district. You can witness Kathmandu durbar square, Pashupatinath temple, Swayambhunath andBoudhanath in kathmandu. In Bhaktapur you can have glimpse of Bhaktapur durbar square and many other temples where as in Lalitpur we can see Lalitpur Durbar Square, Krishna Mandir and so on. From Nagarkot here view tower tour you can eyewitness the 8 Himalyan Range out of 13 which includes Everest range,Annapurna range, Manasalu range, Ganesh himal range, Jugal range, Rolwaling range, Mahalangur range and Numbur range.In Dhulikhel you can have glimpse of Gauri Shankar, Lanagtang and Dorje Lakpa himal range on the way. We can have astonishing panoramic glance of snow ranges from Karyolang in the east to Himalchuli in the west. Namobuddha, perfect place for Meditation because of its quiet and peaceful nature. You can witness the greenery of forest, stupas and stone slab of Lord Budhha.In Balthali you can perceive amazing Himalayan range of Everest, Langtang and Manaslu in the east. You can have glance of landscapes and farming fields in the west. In the south we can have foretaste of Mahabharata range. 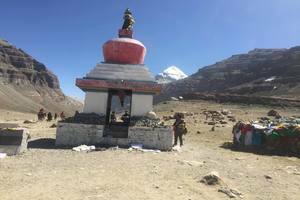 In Panauti you can foretaste appealing attraction is the three tiered Indreshwor Mahadev. 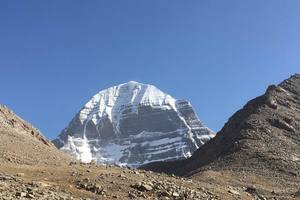 This place is so gratifying and vigilant one which can lure you for hours to stay there.On the border of the Bhaktapur and kavrepalanchowk we will sightseeing of Kailashnath Mahadev Statue. It is also popularly known as “Saga”and world tallest Lord Shiva Statue of height 144 feet. It is the world fortieth tallest statue. Day 2: Sightseeing of Kathmandu Durbar Square and Lalitpur Square including Pashupatinath,Swayambhunath(Monkey Temple) and Boudhanath. Food and accommodation cost during the trip. All sorts of beverage items and cold drinks like Coke, fanta, beer etc. Welcome to city of temple, Kathmandu from where your adventure land of mountains, Nepal come to be to start. After clearing through immigration and customs at the airport, you will be received by our pleasant staff and moved to our guesthouse in the vibrant city, Thamel. The Hovering around that territory you can explore distinctive shops in each footstep to fulfill your needs. The remaining afternoon is yours. Check in hotel. Day 2: Sightseeing of Kathmandu Durbar Square and Lalitpur Square including Pashupatinath, Swayambhunath(Monkey Temple) and Boudhanath. We will pick you from hotel and drive to Swayambhunath temple located at hill of Kathmandu valley. It is also famous for Monkey temple because of presence of monkeys over there. It has been listed on UNESCO World Heritage Sites. We can have glimpse of varieties of stupa and shrines of Lord Budhha. There are two ways to reach to main place of temple. One is walking through long stairway of 365 and another is through private vehicle. Then we will drive to Boudhanath located at Kathmandu. It has been listed in the UNESCO world Heritage site. We can have eye witness the Buddhist stupa of Boudhanath which is so mass appealing one. It is the largest in the world also.Then we will drive to Pashupatinath temple located at 5km north-east of Kathmandu valley. It is located on the banks of Bagmati River. It has been also listed on UNESCO world Heritage Sites. It is one of sacred temple for Hindu religion. Then drive to Budhha stupa Then we will drive to Patan Durbar Square located at Patan of lalitpur. It is a palace of Malls kings in ancient period. We can have glimpse of Krishna Mandir, Bhimsen Temple and Taleju Bhawani temple. The palace has three layout which are keshav narayan chowk,Mul chowk and sundari chowk. Then drive back to hotel. After having breakfast on dawn, we will drive to Bhaktapur Durbar Square. 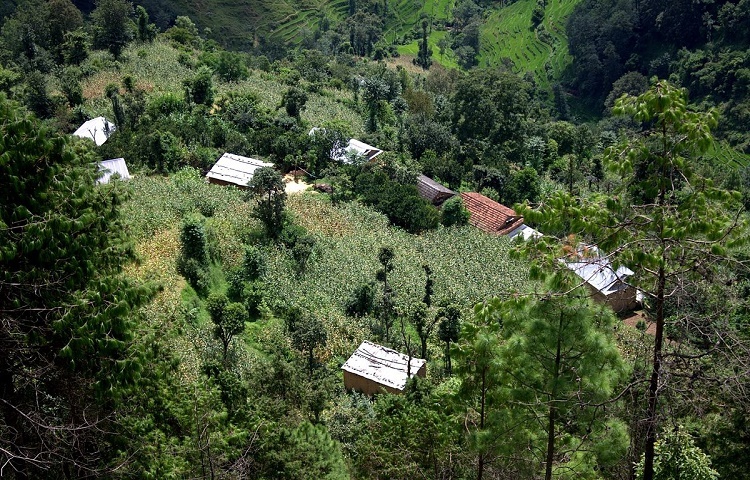 It lies on 13 km east of Kathmandu. It is the Royal Palace of Baktapur kings in ancient days. It has been listed in UNESCO world heritage site.The vital magnetism of Bhaktapur Durbar Square are 55 window palace, Batsala temple, statue of Bhupatindra Malla, Nyatapala temple, Golden gate, Lions gate and Mini Pashupati temple. We will drive to Changu Narayan Temple. This temple is situated at Bhaktapur District and surrounded by Champak tree. It is the oldest temple of Nepal. It has a Shrine of Lord Shiva worship by the Hindu Community. It has Manahora River flowing over it. Drive to Nagarkot and check in hotel. At dawn we will go to view tower to see sunrise. 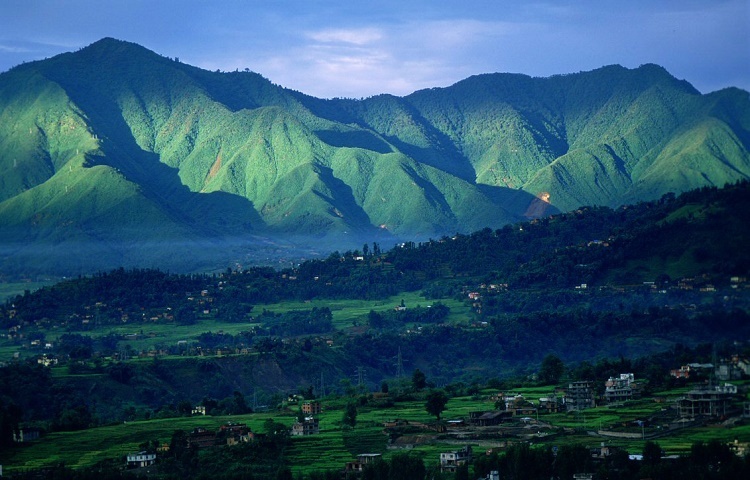 Nagarkot lies on 32 km east of Kathmandu, Nepal in Bhaktapur district. During sunrise you can have panoramic view of the Kathmandu valley and Shivapuri National Park. We can eyewitness the 8 Himalyan Range out of 13 which includes Everest range,Annapurna range, Manasalu range, Ganesh himal range, Jugal range, Rolwaling range, Mahalangur range and Numbur range. Then we will have breakfast and walk to Dhulikhel. Dhulikhel is the 30 km southeast of Kathmandu and 74 km of southwest of kodari. We have to walk around 5-6 hours to reach to Dhulikhel. We will be walking through small villages and farming fields. We can have glimpse of Gauri Shankar, Lanagtang and Dorje Lakpa himal range on the way. We can have astonishing panoramic glance of snow ranges from Karyolang in the east to Himalchuli in the west. The drinking facility in this area is so crystal clear one. We can hover around there and interact with the local community and sight visit to near temples. Check in hotel. We have breakfast on the dawn and walk from Dulikhel to Namobuddha. It takes around 3 hours to reach there. This place is so peaceful and quiet. You can witness the greenery of forest from this place.We can have glimpse of stupas and stone slab. We can see the Lord Buddha stupas everywhere which one is so dazzling and fascinating one. Check in at hotel. In dawn we will have Meditation on Namo Buddha for 1hours which will help to refresh ours mind and body. We will break breakfast and walk around 3 hours to reach to Balthali. We will trek towards Balthali from Namobuddha. It takes around 3hours to reach there. We will visit a typical Tamang village of Dada Gaun. We will feel the difference when we arrive at here People and animals live here side by side. 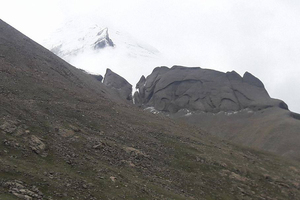 Now, we walk towards “Pada Gaun” to witness the amazing Himalayan range of Everest, Langtang and Manaslu in the east. In the west we can have glance of landscapes and farming fields. In the south we can have glimpse of Mahabharata range. The enormous part of this place is that the weather which is warm in winter and cools in summer. We then follow the banks of Ladku River back to resort. After having breakfast in early morning we will heads towards Panauti residence of Newari Village in a calm manner. Panauti forms the triangle shape consisting of “Naga” idol at three corners to protect the floods. 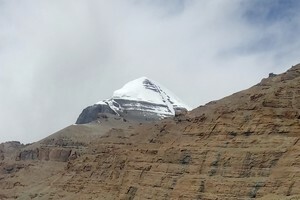 It has an appealing attraction is the three tiered Indreshwor Mahadev. 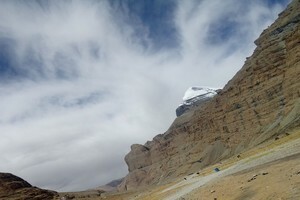 This place is so gratifying and vigilant one which can lure you for hours to stay there. On the border of the Bhaktapur and kavrepalanchowk we will sightseeing of Kailashnath Mahadev Statue. It is also popularly known as “Saga”. It is world tallest Lord Shiva Statue of height 144 feet. It is the world fortieth tallest statue. We can witness an idol of Lord Shiva,Lord Parbati , Lord Gadesh and Lord Kumar. On the way we can witness varieties of people customs and lifestyles. We can have glimpsed of that fourteen century builds wooden temple and old houses. Instead of having walking around 7 hours on foot, we will drive back to Kathmandu through private vehicle. After a wonderful trek and sightseeing you'll be escorted in Airport for your final departure.